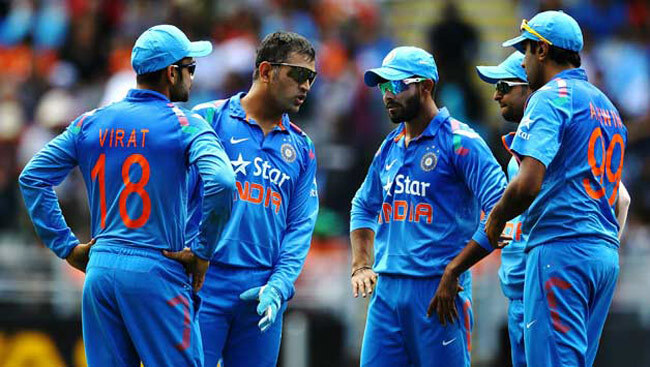 MUMBAI: In four previous encounters in Twenty20 internationals, India have never beaten New Zealand. On Tuesday in Nagpur, the two sides, led by MS Dhoni and Kane Williamson respectively, will open phase two of the ICC World Twenty20. In game 13 of the tournament there are many match-ups that could play a vital role in deciding which way the pendulum of fortune swings. For New Zealand coach Mike Hesson, fast bowler Adam Milne is as close to a starter for this game as ever. The 23-year-old quick has been the team’s most successful bowler in T20Is since the end of the 2015 World Cup and in his most recent match, the warm-up against Sri Lanka, he claimed 3/26 to help fashion victory. Milne is a wicket-taker and the speed he generates could push him ahead of the more experienced Tim Southee and Trent Boult in conditions where swing and seam won’t be available. Shikhar Dhawan is a batsman now starting to impose himself in the format, but he has had problems against proper pace. New Zealand will back Milne to crank it up against the left-hander, backed with catchers on the offside. The early exchanges will set the tone. R Ashwin is proving very difficult to handle in T20Is, especially when bowling during the Powerplays with a hard ball. He is the second-highest wicket-taker in T20Is this year, but statistics don’t tell you how much control he’s had on teams during and outside the Powerplay overs. On pitches that will aid his bowling, the offspinner poses a huge threat. Ashish Nehra has been a constant source of wickets for India during the Powerplay overs this year, proving that age hasn’t diminished his ability to make an impact. He knows exactly how to bowl in Indian conditions, and is smart in reading batsmen’s weak zones. Martin Guptill is third in the overall T20I run-scorers list, but hasn’t enjoyed success in Asia or at the World T20. He’s got some form on his side, but has had issues with left-arm pace. Who blinks first? Both allrounders hit the ball long and bowl medium pace for their respective teams, and both could have a sizeable role to play in the tournament. Anderson, 25, has scores of 82* off 42 balls in his last T20I and 60* off 29 in the warm-up win over Sri Lanka in Mumbai. Though often expensive, he’s proven a partnership breaker with his left-arm pace. Pandya, 22, is 11 T20Is old and he’s also shown a knack of breaking partnerships, though like Anderson at a high cost of runs. They’ve been team-mates in the IPL with Mumbai Indians, so it’ll be interesting to see how they fare if up against each other on Tuesday. Dhoni, two-time World Cup winner, stumper par excellence, tactician and leader of the most settled team in the tournament – and one that has won 10 of its 11 T20Is this year. Williamson, arguably the finest all-format batsman in today’s game, now given the mantle of captaining New Zealand in the post Brendon McCullum era. Dhoni knows his team inside out, and what buttons to press at what time. He has Ashwin to call on when he likes, and the tuning the pair shares is enough to put batsmen in two minds. He knows the conditions, what to do when and can finish matches in a blaze. Williamson leads a team that doesn’t have a good record in World T20s and in slow and low conditions like Nagpur, he will have to rise as an opener and leader. Two very different players in very different roles, with very different teams. What fun then, to see how they go. MS Dhoni (c)(wk), Ravichandran Ashwin, Jasprit Bumrah, Shikhar Dhawan, Harbhajan Singh, Ravindra Jadeja, Virat Kohli (vc), Mohammed Shami, Pawan Negi, Ashish Nehra, Hardik Pandya, Ajinkya Rahane, Suresh Raina, Rohit Sharma, Yuvraj Singh. Kane Williamson (c), Corey Anderson, Trent Boult, Grant Elliott, Martin Guptill, Mitchell McClenaghan, Nathan McCullum, Adam Milne, Colin Munro, Henry Nicholls, Luke Ronchi (wk), Mitchell Santner, Ish Sodhi, Tim Southee, Ross Taylor.All the best Team India ! !